Ordering process is extremely simple too. 1. Choose products you like from the album of product images uploaded in the album. 2. If there is any question or queries, you can contact her via messages. 3. Comment “Book” below the product(s) you like. 4. You shall receive the payment details from the page owner. 5. You will need to pay a nominal amount of Rs. 30 for West Bengal and Rs.40 for rest of India as shipping in addition to the product prices. 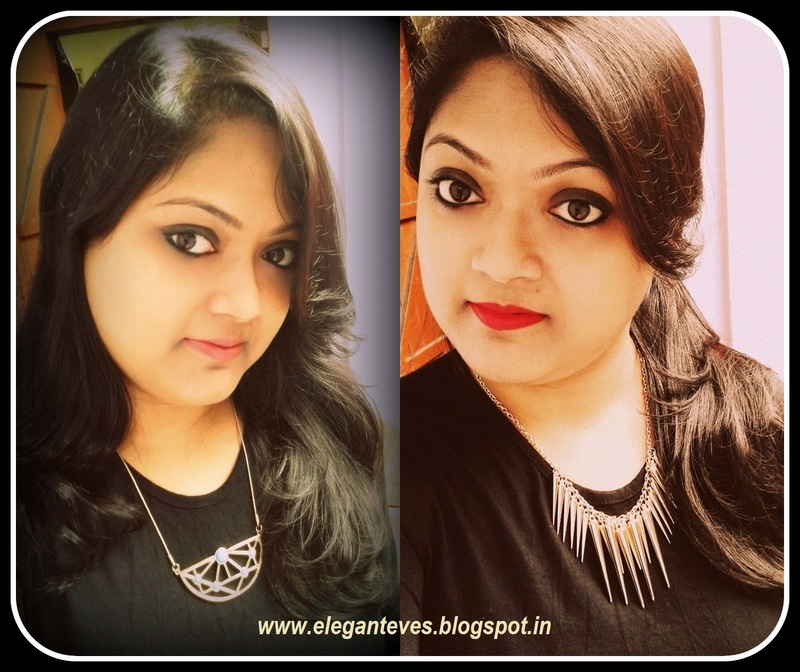 I am a total lover of statement accessories and recently my love for statement jewelry has shifted from bright neon colors and chunky pieces to golden and more classy ones (I guess that comes with age! 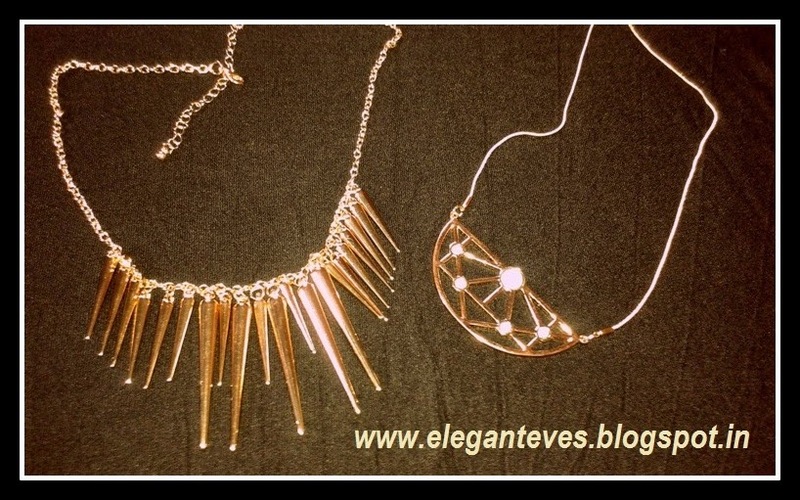 ;) ) So naturally, when I received two statement necklaces of the kind I love, I was beyond ecstatic! 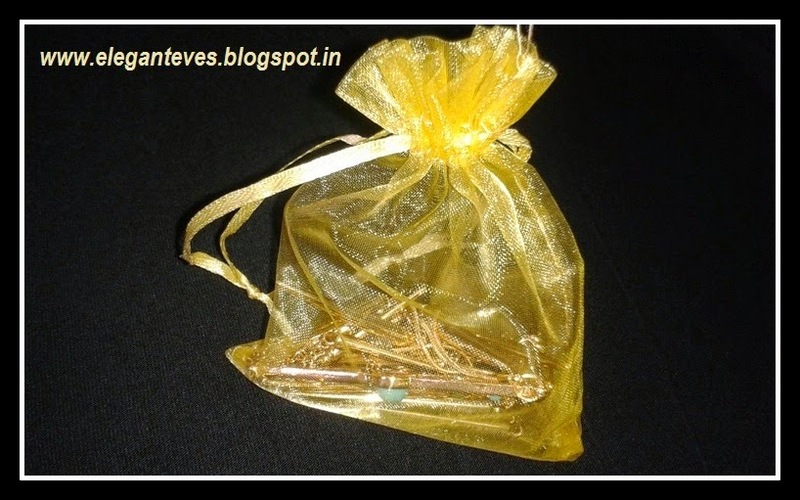 The order came securely packaged and in a beautiful golden batua purse. It reached me barely in four-five days. 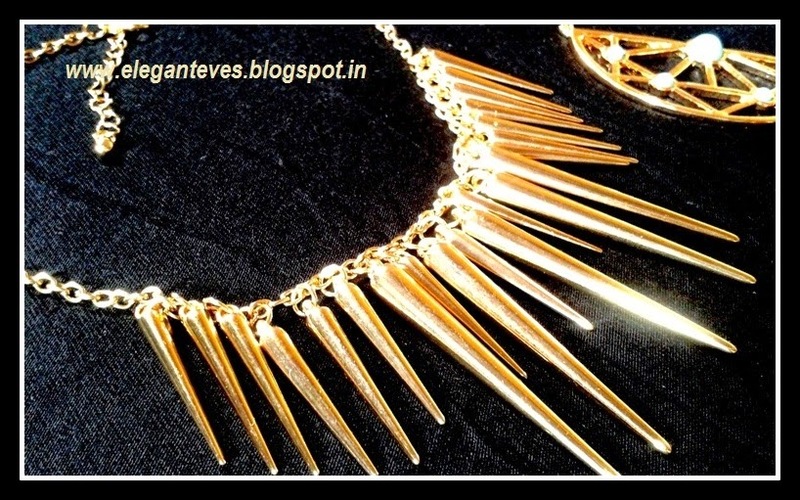 My picks included a golden spiked punk necklace (Rs. 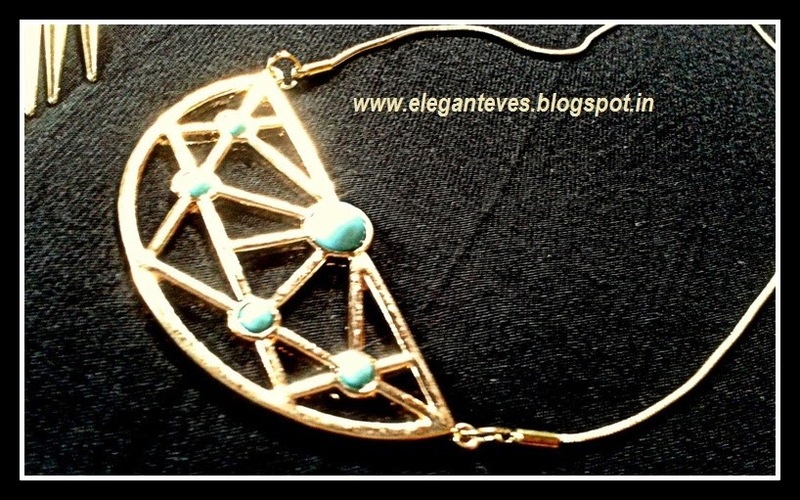 205) and a golden and teal long chain with pendant (Rs.190). 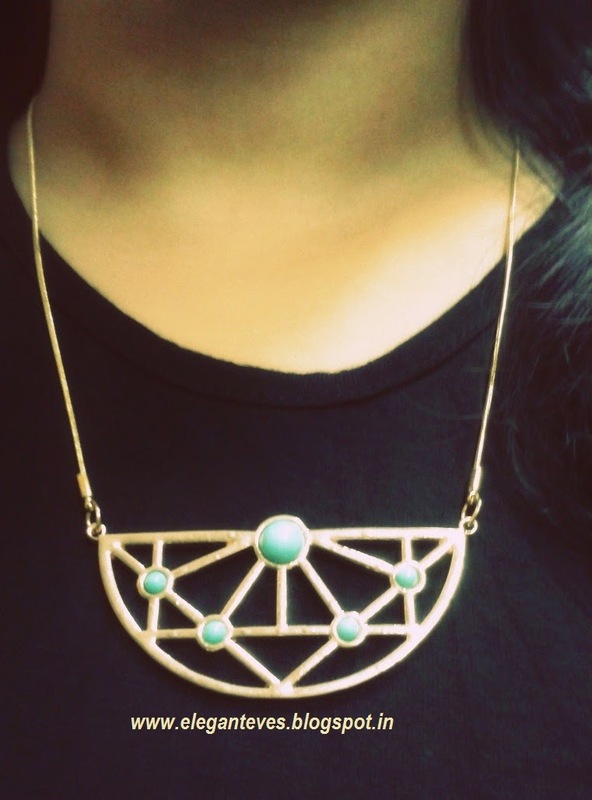 Both the necklaces have adjustable locks and you can adjust the length as per your requirement. The best part which should attract everyone to this jewelry store is the fact that the SAME pieces you will anywhere else at almost TRIPLE the price! Here, you won’t get the feeling of getting “robbed” ;) ;) haha!!! I would recommend this online jewelry shopping page to everyone, mainly because of the affordable price factor, excellent quality and extremely good customer service! Thanks once again Mrittika! All the very best from Elegant Eves to you for your endeavor! Disclaimer: Product sent by brand for review. However, opinion expressed is completely honest and without any bias.